Thanks for stopping by! We are Will & Stacey, the husband and wife wedding and engagement photography team based out of glorious Denver, Colorado. We specialize in mountain weddings across the globe and are available for travel. On this blog, you will find photos of our amazing couples as they begin their lives together as husband and wife. You'll also find stories about us, our adventures, and our thoughts on love and marriage. We hope you enjoy and we look forward to hearing from you (yes, please leave your comments!). Just two weeks ago, Jodi stopped by the house the night before she delivered Wyatt. 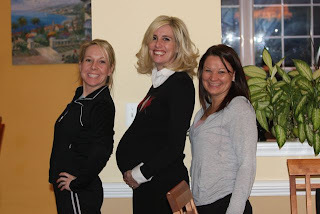 Ashley and I were severely under dressed for the eve of Wyatt's birth, but we celebrated nonetheless! 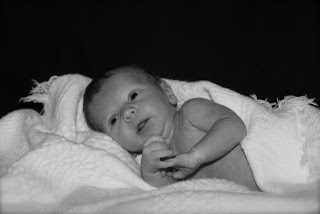 This weekend I was blessed to have the opportunity of taking Wyatt's newborn pictures. He is absolutely amazing -- seriously, an amazing baby. And SOOOOO handsome! Congratulations Jodi and Jonathan. He is a true blessing and I couldn't be more happy for you! so cute! Congrats to Jodi and Jonathan! And the pictures are beautiful Stacey - good subject I know, but you do great work!!! 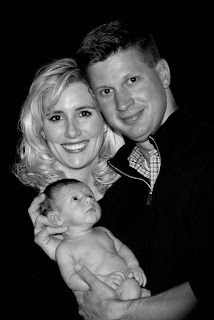 What a handsome little man and beautiful family! Great job Stacey and congrats Jody and Johnathan! !